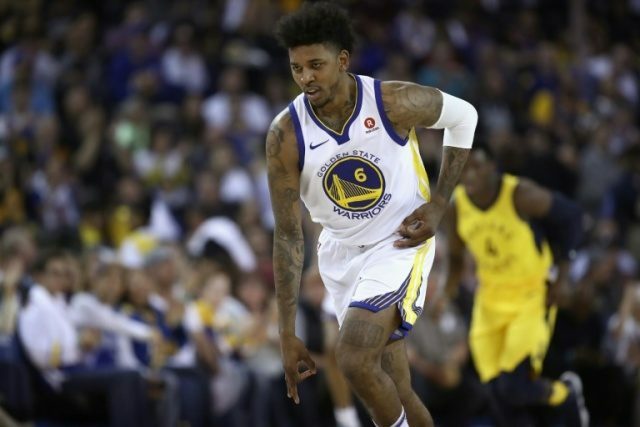 NBA free agent guard Nick Young, who helped the Golden State Warriors win last season’s title, was arrested at a Hollywood traffic stop Friday night, according to multiple reports Saturday. Young, nicknamed “Swaggy P”, has played 11 seasons in the NBA. He spent four seasons with his hometown Los Angeles Lakers before joining the Warriors last season. According to the Los Angeles County Sheriff’s Department, Young was stopped for an unspecified traffic violation and released on $10,000 bail early Saturday morning.